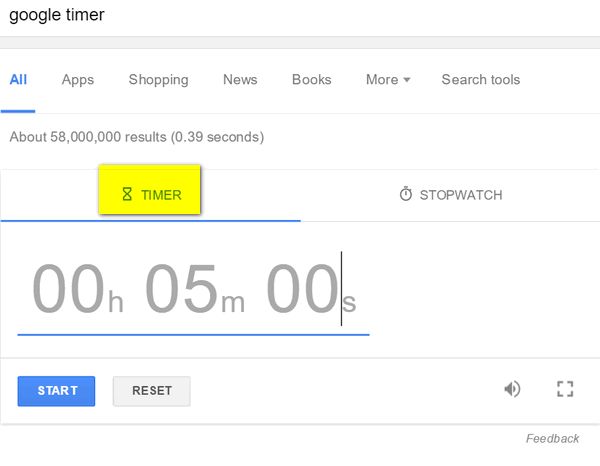 1 — You can find the sunrise and sunset times for any location, for any date. 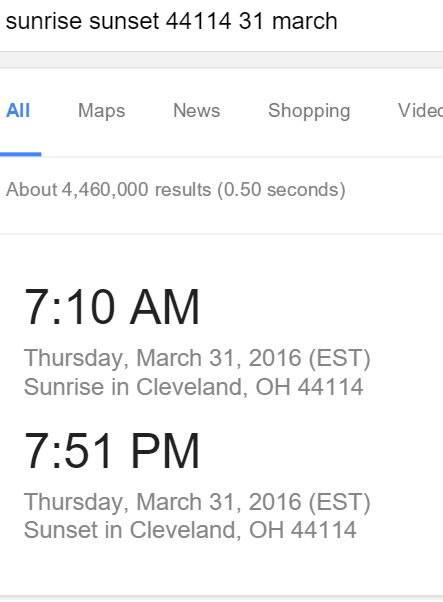 Just type Sunrise sunset then the location and the date in the address bar and press Enter. See? 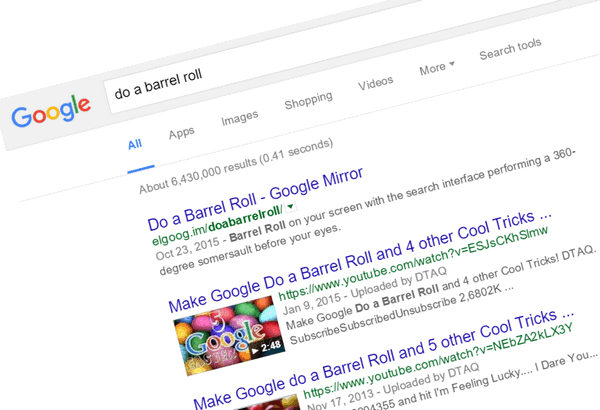 2– Make your Google search results do a barrel roll. Just search for something, and then type “Do a barrel roll” in the address bar and click Search. 4–Want to do a currency conversion? 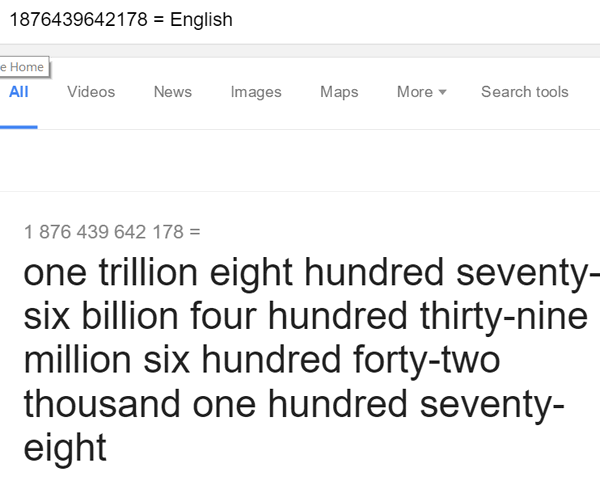 No problem just type the amount and the currency codes (for instance USD = U.S. Dollar and CAD = Canadian Dollar). 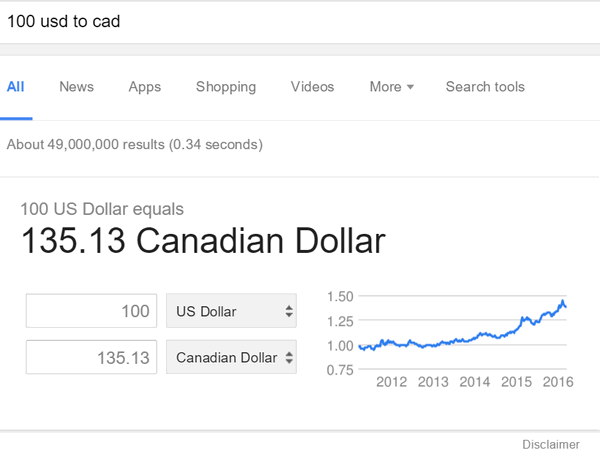 For example 100 EUR to USD or as below 100 USD to CAD. Press Enter to get the conversion. You get the idea. 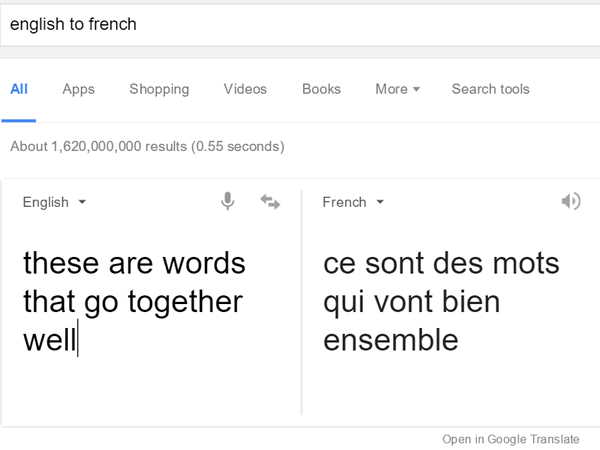 6– Use Google as a translator. 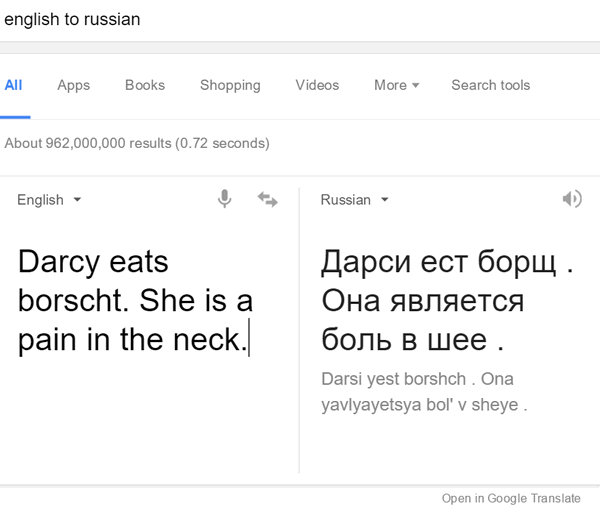 Just type the languages you want to translate in the Google search bar: for example English to Russian, English to French, English to Spanish, Polish to English, and so on. 7– Like geometry or math? Not me. 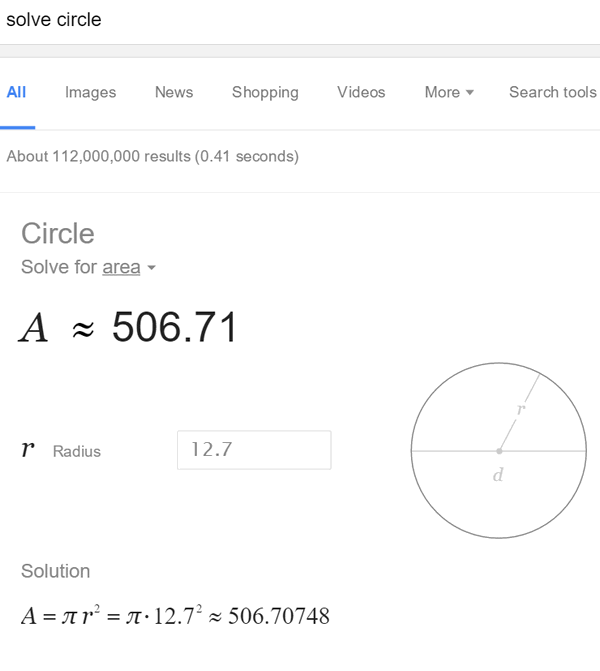 But if it’s your cup of tea, you can use Google as a scientific and advanced math calculator, or even to find the area of any shape. 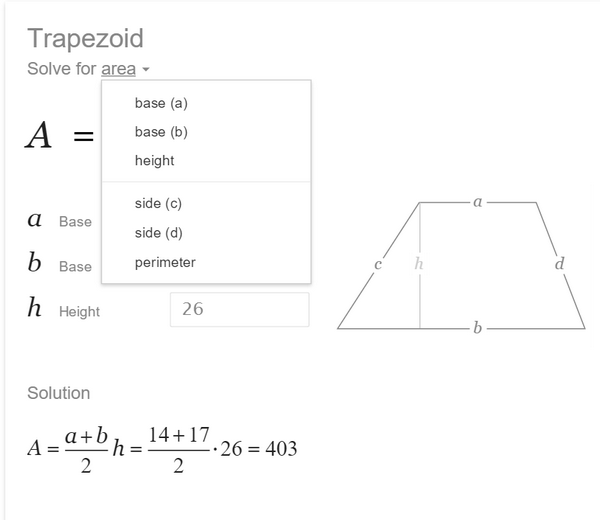 Type “Solve Triangle”, “Solve Trapezoid” “Solve Circle” in the search bar and press Enter. See? 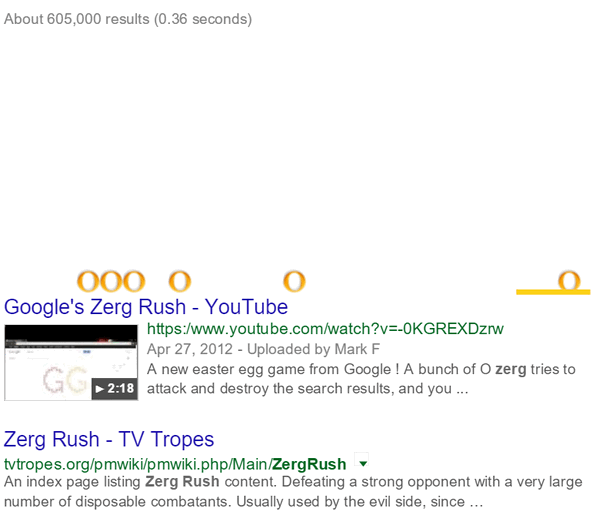 9 — Type “zerg rush” and click Search in Google Search and press Enter, to play this amusing game. Try to destroy all the little o’s before they erase your search results. 10– Play Pacman. Remember Pacman? Sure you do. If you want to play a game of Pacman, just type Pacman in the Google search bar and click Search. 11–Play Atari Breakout. Want to play Atari Breakout – you remember that game right? 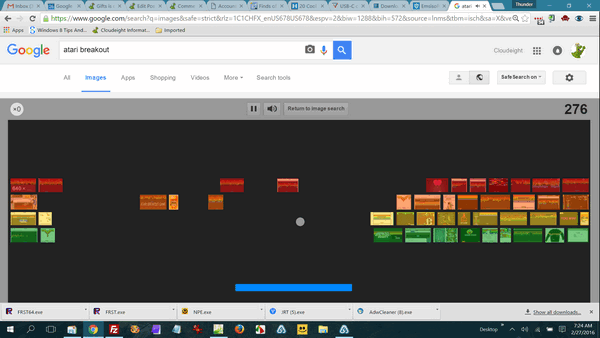 Go to Google Images and type “Atari Breakout” in the search bar. Now press Enter or click Search. 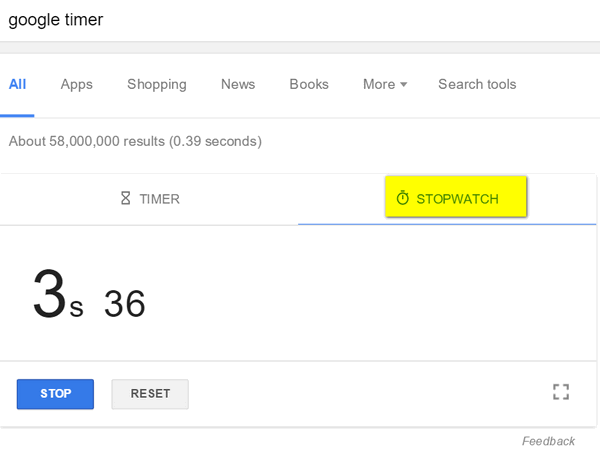 You can do many useful (and no so useful) things with Google. 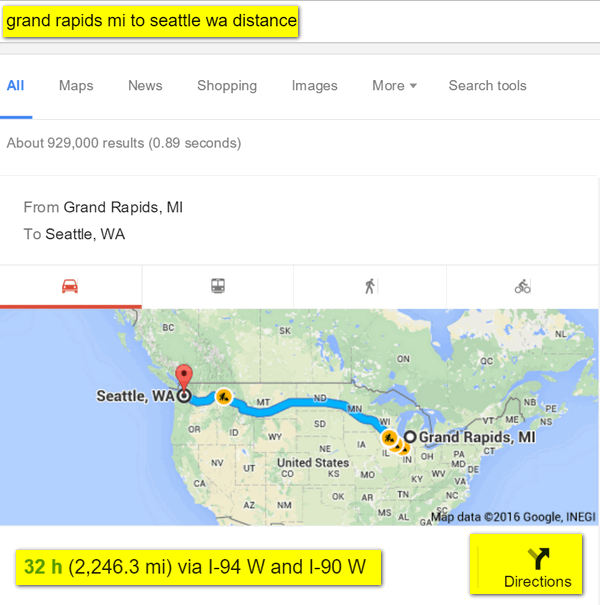 We hope this tutorial inspires you to explore Google’s potential further. Help keep Cloudie healthy and keep the tips and tricks coming. Your help is greatly appreciated.